I found a new show this week. It’s called Three Sheets and it’s about drinking around the world. 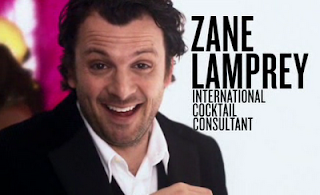 The host Zane travels to different cities and drinks at various local bars, meeting the locals, playing their drinking games, and trying their more exotic drinks. The later usually ends up with someone puking. Although I’m not a huge drinking, I do love travel shows and this is a fun alternative to the never ending repeat network called The Travel Channel. The drawback is this show is on a networked called MOJO HD, which is only available on HD cable. It’s not available on DISH yet. I’ve been watching episodes on HULU. They have entire full episodes of this and many other shows. It's travel, drinking, and fun, what's not to love? Strangely enough this week I also started watching the new season of Addiction. The first episode I watched was about a 24 year old Iraqi yet who drinks up to a liter of vodka every single night. He’s had several car accidents while driving drunk. He’s totally messed up from the war after killing fisherman he though were insurgents and watching his sergeant bleed to death on their last day. He’s living with his parents and working as a clerk in a liquor store with no long term prospects. I thought it was going to be a happy ending when he agreed to go a 90 day rehab facility run and staffed by ex-military vets. But the captions at the end told he left the facility after 3 weeks and is now living with friends. It’s amazing to watch the next generation of homeless being created right before our eyes. Kudos George Bush.